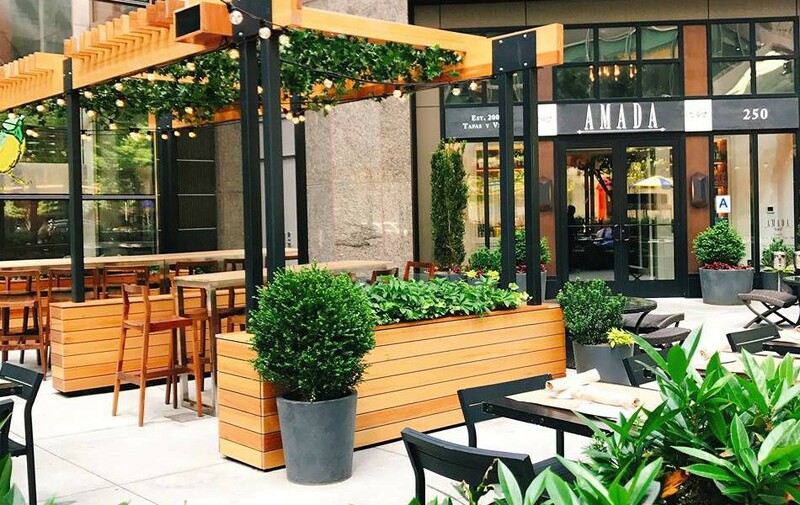 Amada Restaurant in Battery Park City, NYC, is an Andalusian tapas bar and restaurant in a contemporary setting in the thriving neighborhood of Battery Park in Downtown New York City. Chef Jose Garces embraces the rich traditions of Spanish gastronomy while incorporating modern tapas. Offering unique signature dishes available only in NYC, like our whole roasted suckling pig, we do feature classic staples of Philadelphia’s Amada. Amada offers an extensive wine list of completely Spanish wines, including two wines “from the barre”, seasonal sangria and traditional Spanish cocktails. A highlight is our Gin&Tonics with exotic tonic waters and garnishes. With private and semi-private dining options, Amada is the perfect place for your next event.